Our Mission: To produce and distribute quality video training material that will assist both learners and trainers. Providing them with the highest level of service, with regards to response time on enquiries, quotations and delivery of products. 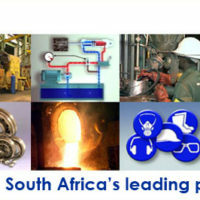 Tech AV is one of South Africas leading providers of technical training DVDs. Our Technical Skills and Safety Training videos can be easily integrated into existing training programmes or used on their own as a useful induction for new learners that are entering a particular field of study. The secret to the success of our products is that they are basic and easy to use. Companies, Technical Colleges, Technical Schools and Training Centres, not only in South Africa, but also outside our borders, are making effective use of Tech AV products.